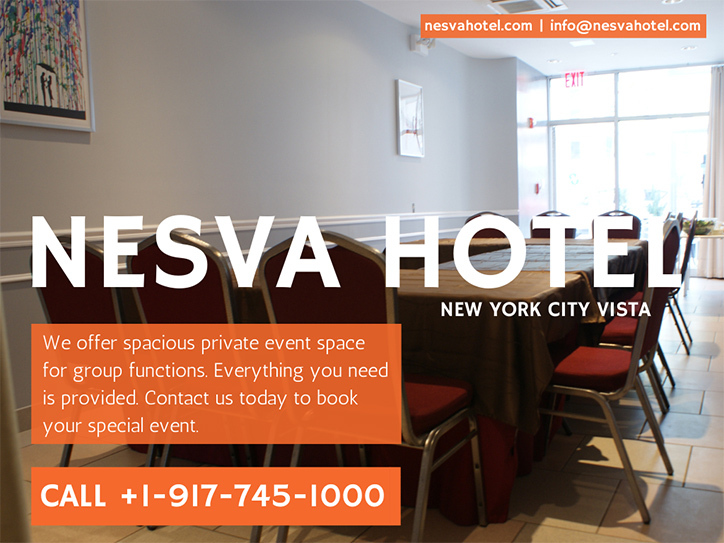 Nesva Hotel is the ideal boutique event venue to hold your next event or meeting, with easy access to all 3 major city airports and only a 5 minute taxi ride to Midtown Manhattan. Our private event rooms can comfortably accommodate your intimate affairs, corporate meetings, and celebrations up to 70 guests. All rooms are available for day and night time rentals, 7 days a week, based on availability. Contact our sales department at info@nesvahotel.com or call +1-917-745-1000 for more information and availability.